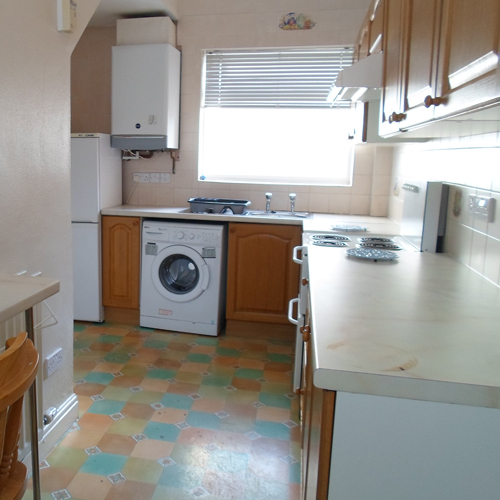 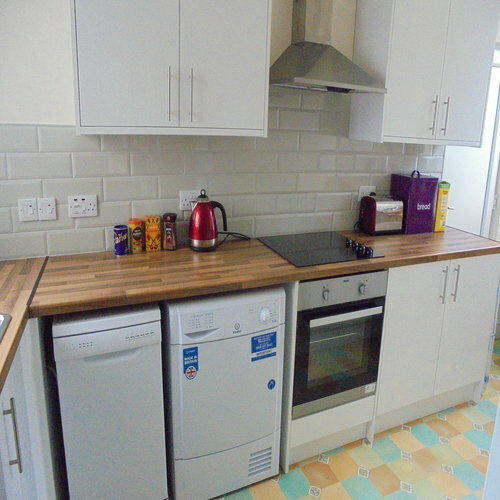 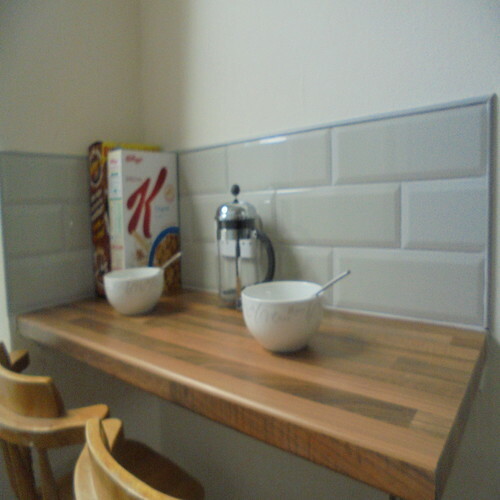 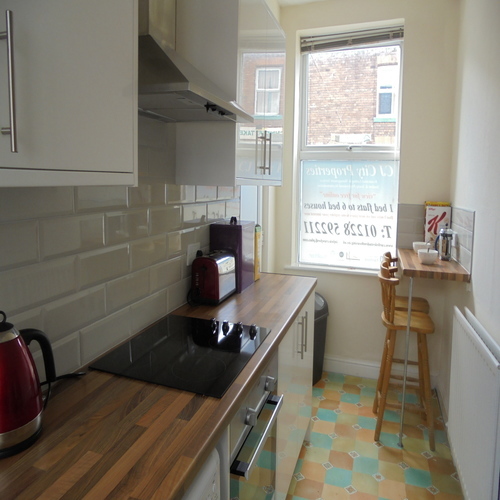 The kitchen has a breakfast bar, electric cooker, fridge/freezer and washing machine. 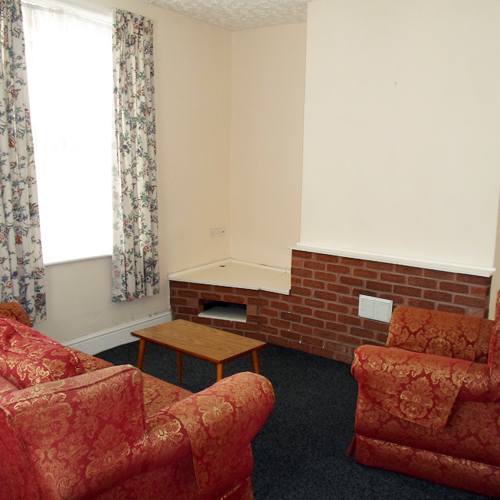 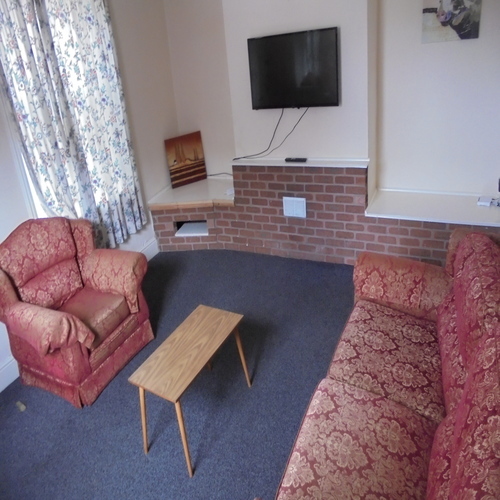 The large light living room has a fitted widescreen TV, sofa and comfy chair. 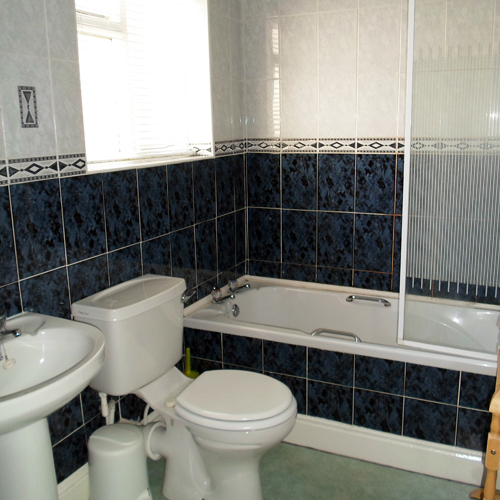 The first floor bathroom comes with an electric shower, hand wash basin and WC. 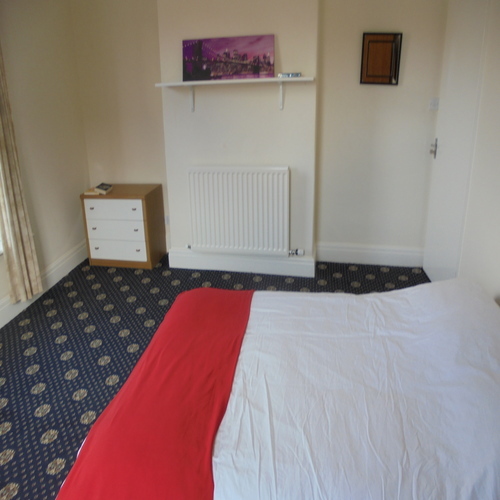 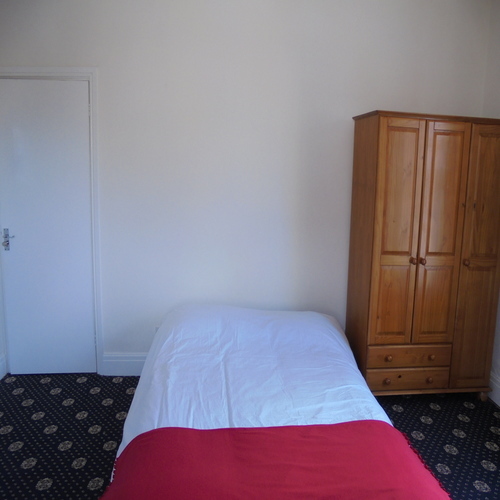 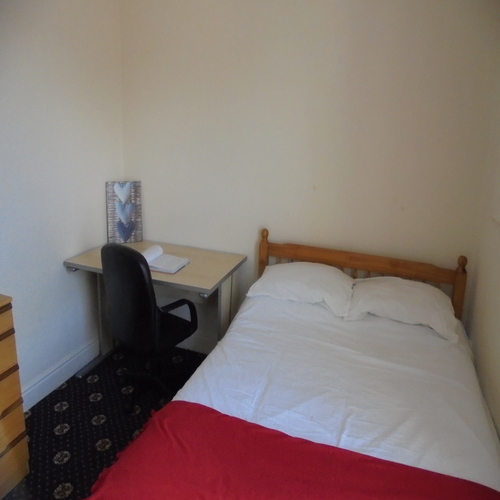 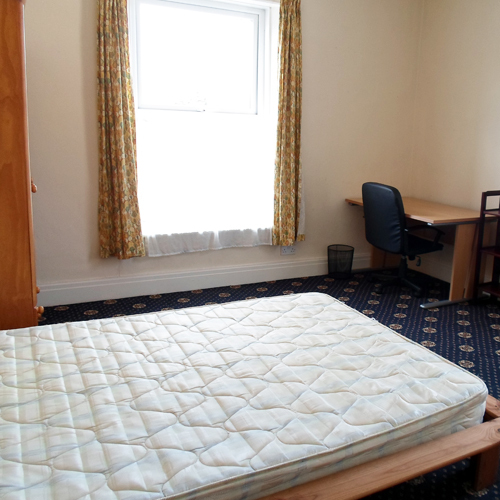 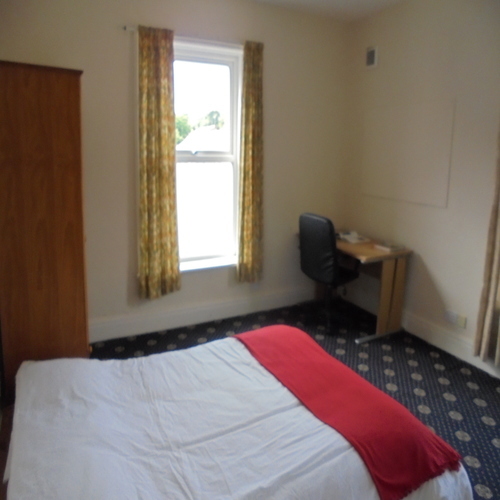 The two double bedrooms are all furnished with pine double beds, wardrobe space, chest of drawers, notice board, shelf, TV point, desk and chair. 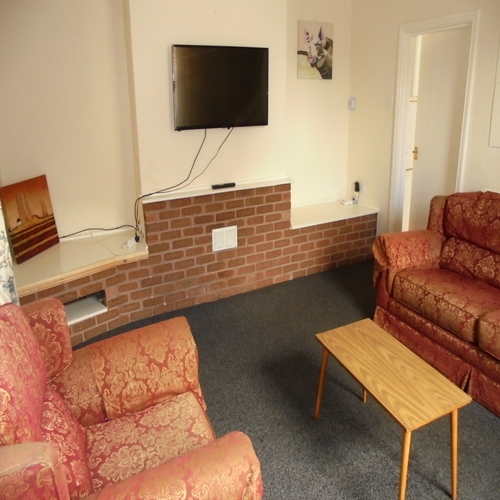 The shared self-contained backyard comes with a picnic table.